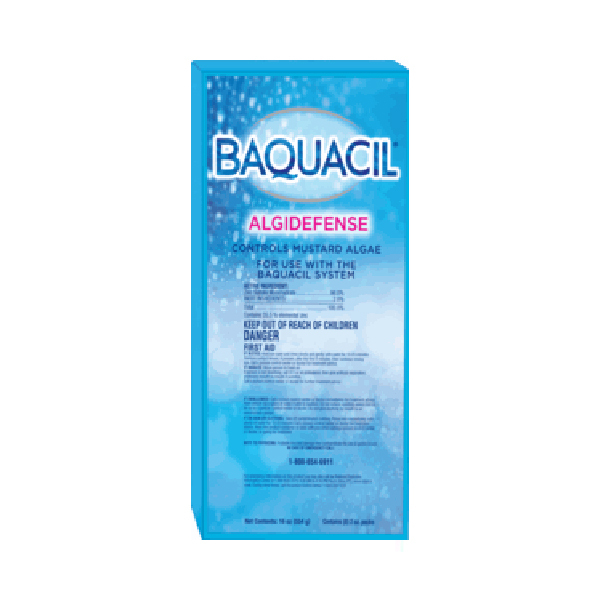 BAQUACIL® AlgiDefense® algistat is a long-lasting algae preventative technology developed for pools treated with BAQUACIL® products. One simple monthly application controls the growth of mustard algae in BAQUACIL® treated pools. AVAILABLE SIZE: One box contains (8) 2 oz. pouches.